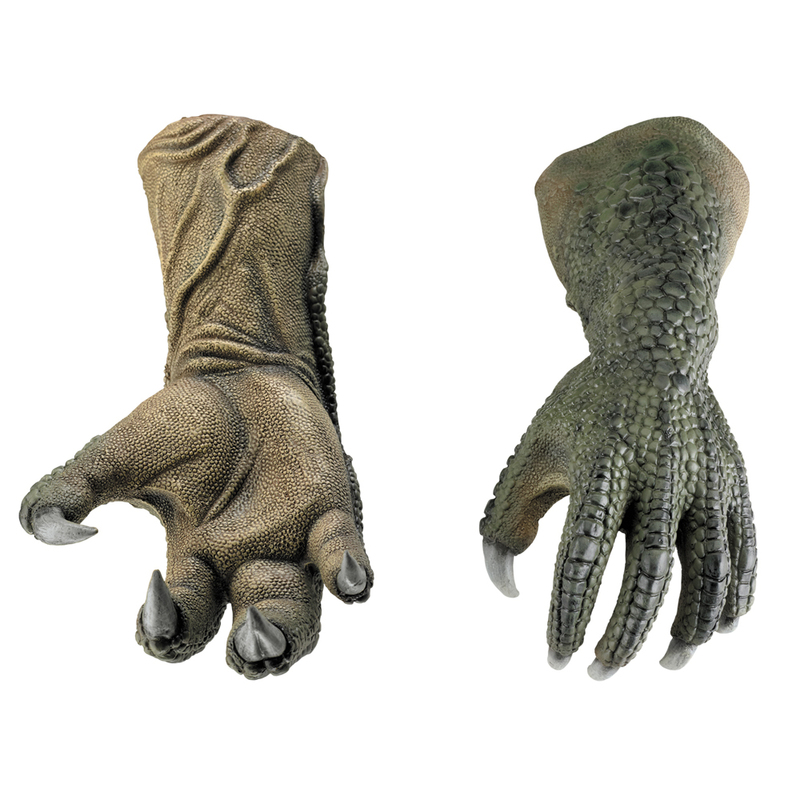 MOVIEBOB: In Which I Say Something Nice About "Spider-Man"
In Which I Say Something Nice About "Spider-Man"
Look again: The hand that grows-in "fresh" is more like an actual lizard's (four digits, bigger claws) while the other one is more of a mutated-human's hand. Would still look better with the lab coat. Costume aside, I just hope they keep the exact Jekyll & Hide aspect with Lizard and that the good doctor himself is a decent guy. I'd be mighty ironic if Spider-Man films allowed Osborne and Octavius with sympathetic aspects (Green Goblin's influence and the tentacles control) but made Connors an outright villain. I'd actually be okay with the more human face if it's only early stage Lizard. Supposedly the way it works in the comics, the longer he remains the Lizard the more he loses his capacity for speech and rational thought and the more animalistic he becomes. So if the idea is that he gradually mutates to become more Lizard-like as the movie goes on, that'd be cool. Sorry, I'm confused. Are they his corresponding left and right hands, or is it one of the character's hands compared with a past Lizard iteration's hand, or something else? I would have thought that you'd remember that back in the old Steve Ditko days, the Lizard didn't have the elongated snout. That came later. Makes me think of Killer Croc, without exposed teeth. Hey Bob, the original Lizard DID look like a human with a scaly face, the lizard-like nose was a 90's thing!!! Except lizards actually do have 5 digits. A while I might be a disappointed they went for the more human version instead of the intelligent Komodo dragon that's no whats worrying me about the movie. You see, in some of what I've read and what I've seen I have this sneaking suspicion that Curt Conners will somehow have been responsible for the Parker's death and will rob him of the good man tapped inside a monster motif that is such a part of his character. Also if that's true, it would also make the final battle another cliche "You killed my father" moment that we've all seen a hundred times before: Instead of a morally gray battle where Peter has to stop someone he knows is good in order to save more lives. I've seen a few people mention how the original lizard looked like a scaley faced human, this is true, but not to the extent that this version does. Also, a lot of the stuff from the early Steve Ditko version of Spider-Man haven't survived, for example Spider-Man's costume was originally Red and BLACK (they colored it with blue highlights, but when other artists saw this they thought it was the other way around and made it blue), and there's the gigantic webs from under his arms, which were gradually shrunk down and they eventually disappeared from design entirely. Really nice post about spiderman, i also like the movie spiderman. Bob: I know this isn't on Spidey, although, I'm giving it a chance based on that trailer, but I have to ask: What are your thoughts on the new movie, Project X, the movie about the party you weren't supposed to see, but happened to be put on Youtube? My head was literally going to blow seeing that fail.